Provide well-designed software architecture diagram templates and an easy drawing method, aiming to assist users with a fast and effective software architecture diagramming process. Software Architecture Design is a crucial step for software and application developers to describe the basic software structure by dividing functional areas into layers. It depicts how a typical software system might interact with its users, external systems, data sources, and services. Software architecture is usually designed into four layers (some also make it three), which are, from top to bottom, presentation layer, service layer, business layer, and data layer. 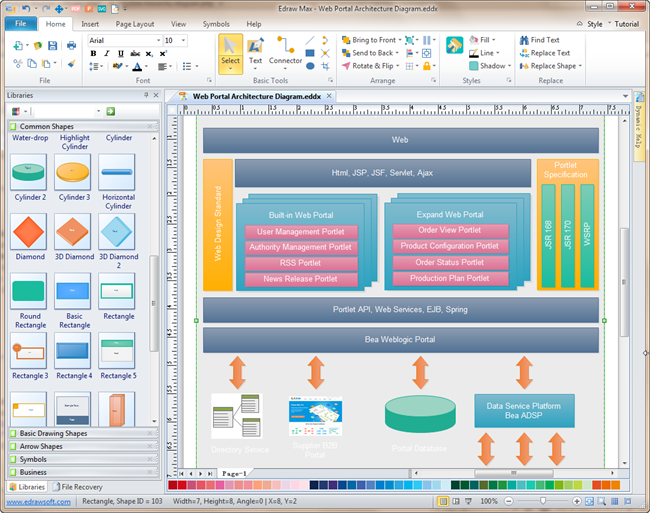 Presentation Layer contains components for users to interact with the application. It is responsible of processing user's input and returning the correct response back to the user. 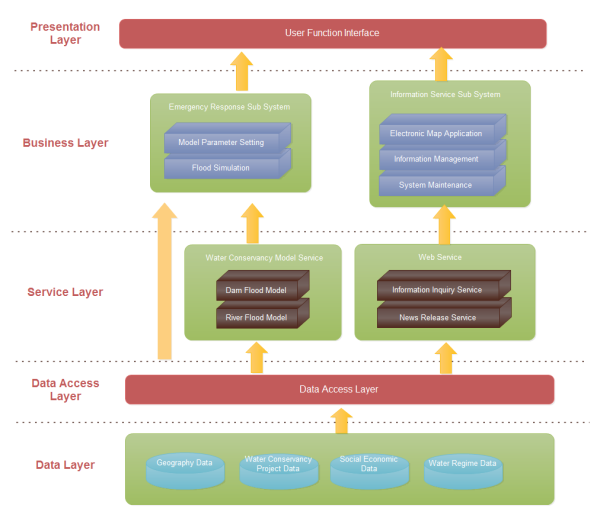 Service Layer acts as a transaction boundary and contains both application and infrastructure services. 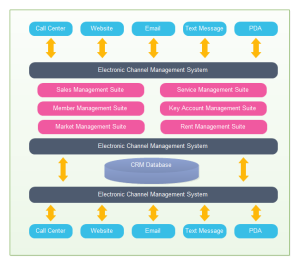 Business Layer includes the core business functionality of the application. 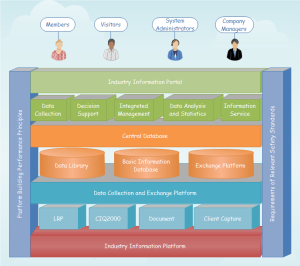 Data Layer is the lowest layer of an application. It is responsible of communicating with the used data storage. Edraw Software Architecture Diagram Maker allows users to make good-looking software architecture easily from ready-made shapes and symbols, including 2D shapes, 3D shapes, highlight shapes, solid geometry shapes, and arrow shapes. With Edraw, you will experience the easiest drawing method and a full service. Easy to print, export and share with others. Download a free trial and see first-hand how quickly and easily you can create great-looking architecture diagrams. 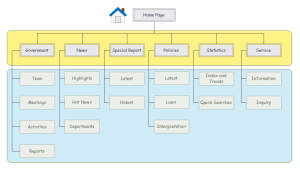 More architecture diagram templates are prepared here, allowing users to choose and download. All files are in vector format, easy to edit and customize. Starting from an existing template is the most time-saving way when creating a similar style architecture diagram. Click the picture to get access to the download link. 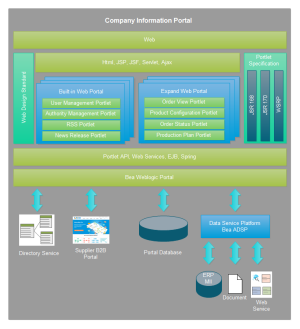 This website information architecture diagram on the right can be downloaded and modified for your own use.